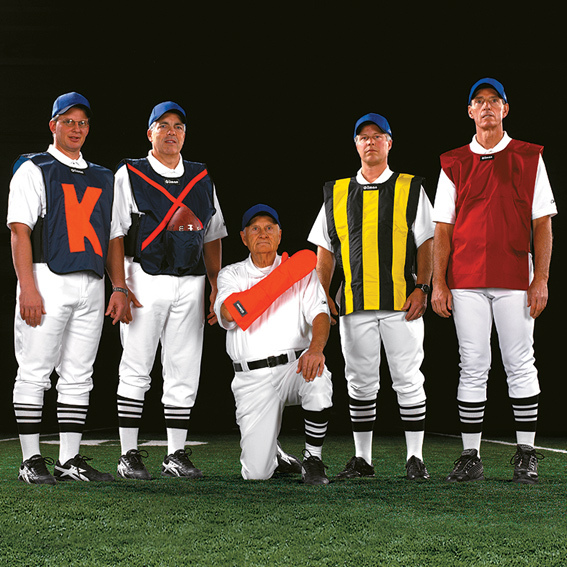 The PRO CREW VEST is designed for the NFL. Black with yellow stripes for the chain crew and scarlet for the down box holder. Tunic style with elastic side panels.